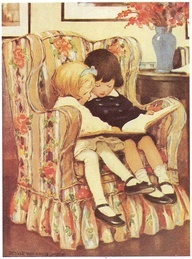 I LOVE, LOVE, LOVE BOOKS! I love everything about good books beautifully bound! 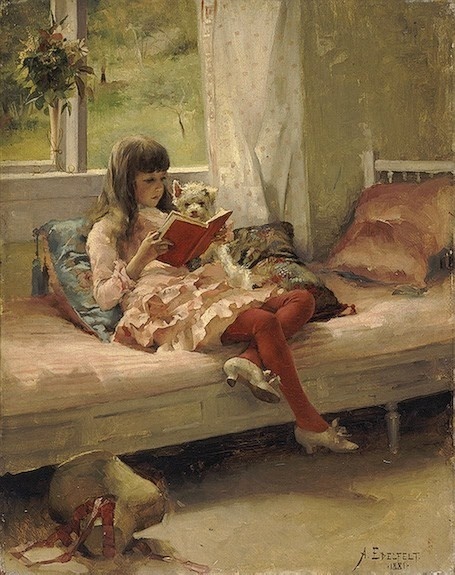 I even love the paintings of people reading books!! 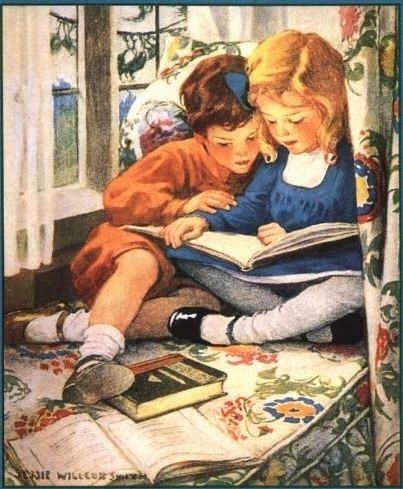 who read books aloud to me and my brother! 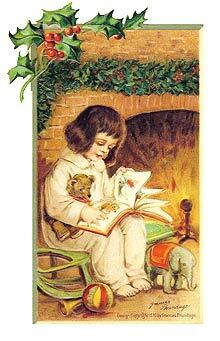 The stories read at Christmas time to the family are my favorite ones today! Father faithfully read God’s Word to us daily and set our feet on the right paths. I love the feeling of holding a beautiful bound book in my lap. 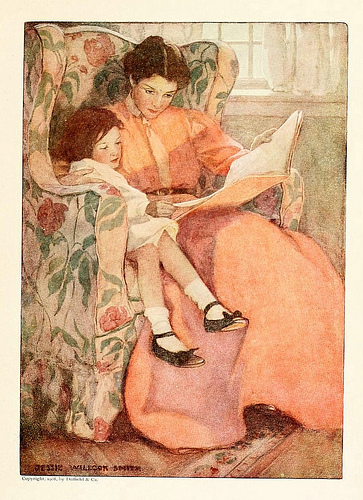 Jessie Wilcox Smith, illustrates childhood so beautifully! we may find ourselves there too! I love to touch the pages and feel the texture of the paper as I turn and explore each one. 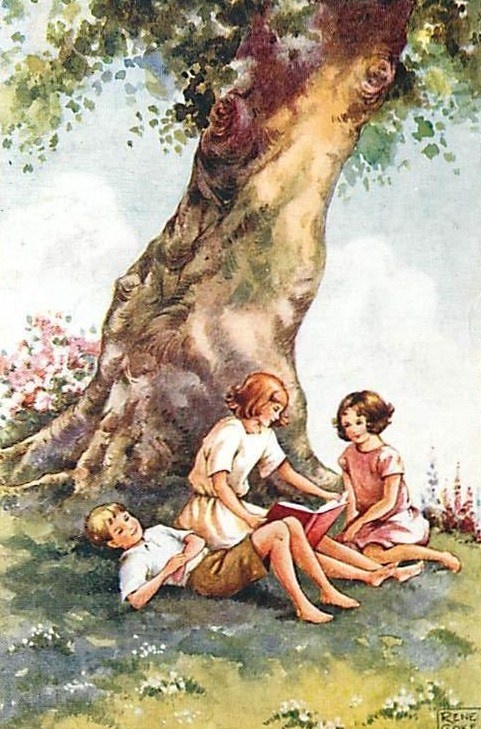 The scent of the book becomes part of the book’s unique imprint on my mind. 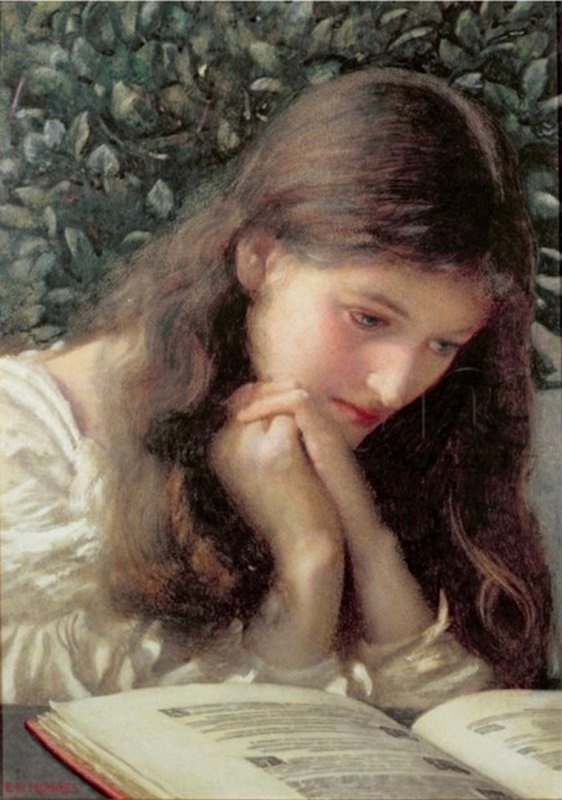 The title, the author, the characters of the story all begin to live and speak to me. The all begin to teach! The illustrations must be accurate to the story and reinforce the adventure’s importance. My hunger to meet real people that have depth of character sharing their joys, sorrows, and vast experiences with me is more than a gift of love and adventure! 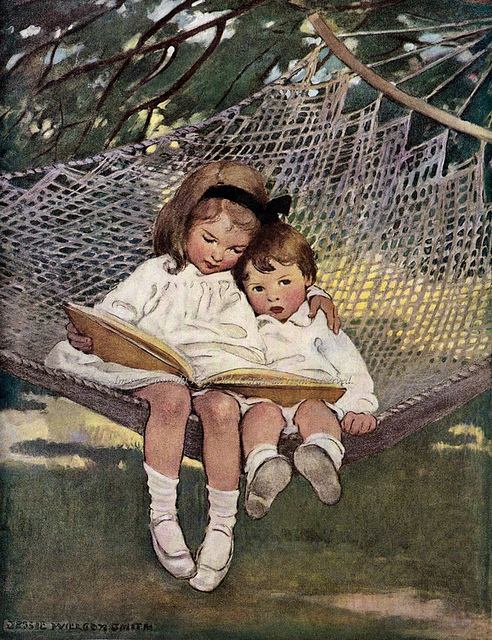 I believe good books are like great friends when they put more heart and purpose into our life! 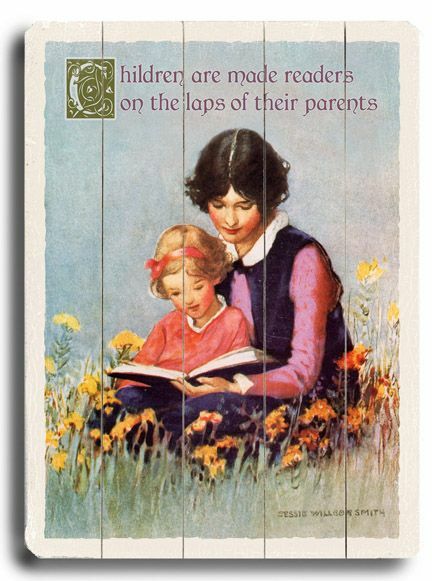 Good books can be building blocks for the learning and making of good people! People filled with good thoughts, wisdom and love for others are also people full of good deeds and walk a path worth following!! Wonderful people have touched my life as I was growing up! I wish that some of those lives could have been put into print and illustrated so that I may introduce my children to them and their wonderful love for life, their family, home and country! Family photographs and albums are treasuries and precious reminders of good times spent together. They can so easily be lost as memory fails and times fade away. The next generation may have features of parents and even grandparents, with a similar voice and familiar gestures that bring loved ones to mind and warms the heart again! 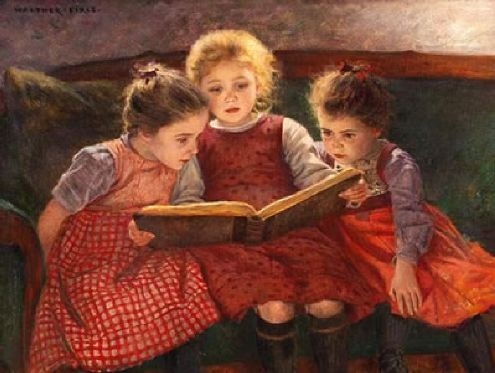 Books are friends we can share with others!! Interview With Joe Gagnon Fox 21 What is ARBA?